• Replaceable trap module retrofits Yarway 711/722 series. 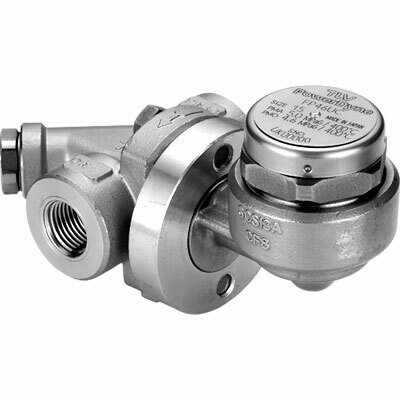 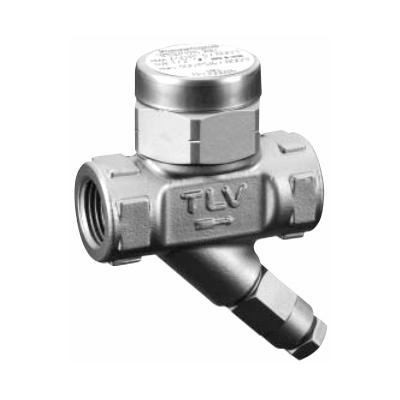 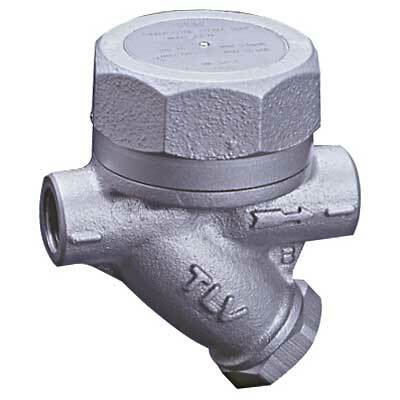 Only at TLV, a line of thermodyne (disc) steam traps has been developed that offers traps to cover the complete range of pressures used in the industrial world. 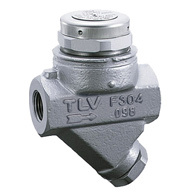 Disc steam trap operation may suffer if the trap is exposed to cold air and rain. 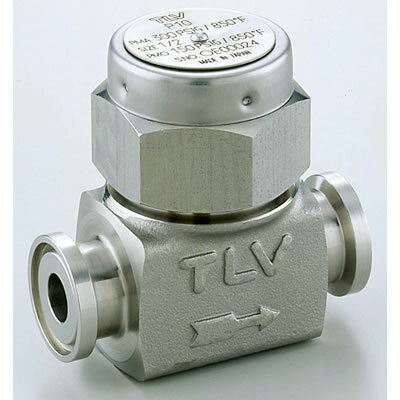 In order to prevent wasteful leakage of steam, TLV has developed an air-jacketed pressure chamber model, and for even greater insulation, a steam-jacketed pressure chamber model. 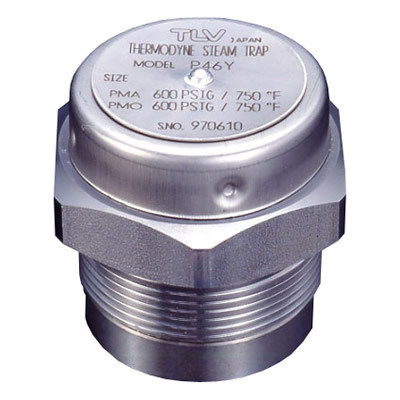 The high-precision machined disc valve and valve seat offer excellent sealing properties, preventing wasteful discharge of steam. 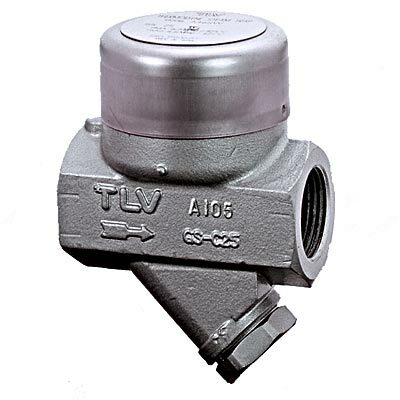 Productivity is impaired if the large amounts of cold condensate and air inside the system are not discharged as soon as the equipment is started up. 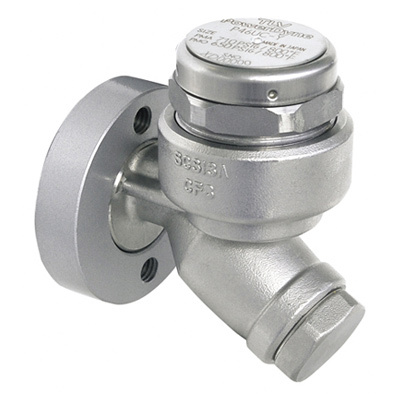 With the exception of models P21S, HR150A and HR260A, all models have an integral bimetal type automatic air venting feature. 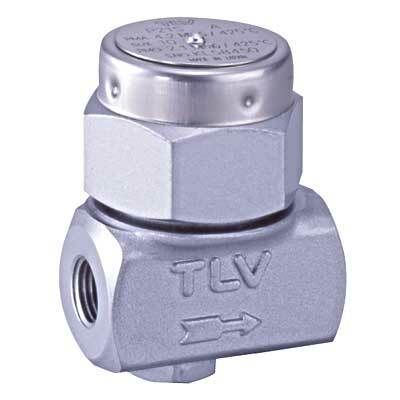 The valve is fully open when temperatures are low, allowing for the rapid discharge of cold condensate and air. 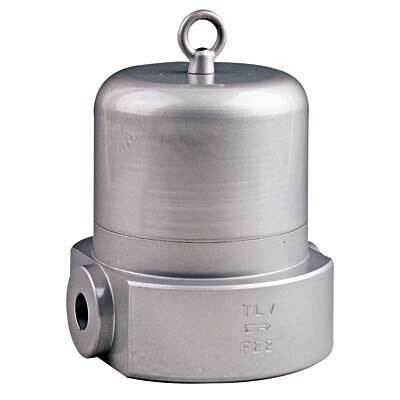 With the exception of models P21S, P46SS and FP32, the valve and valve seat of all models are a single, modular unit, allowing for easy and economical maintenance when replacement is necessary due to wear, etc. 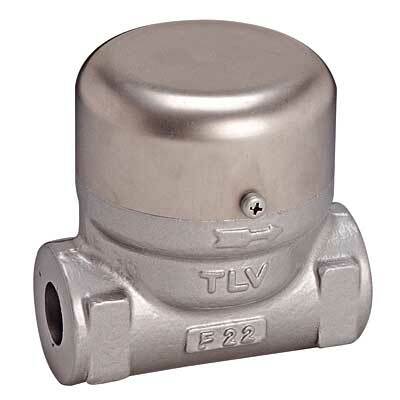 The entire trap on model FP32 is inline replaceable. 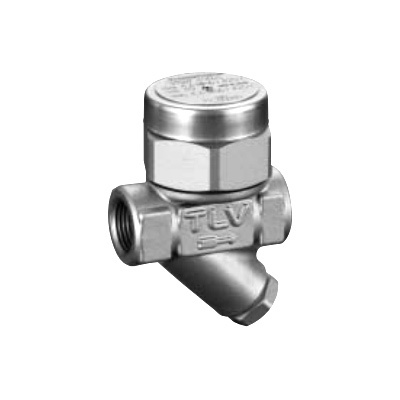 Steam main lines, heat exchangers, jacketed kettles, room heating, tracers, coils, etc.